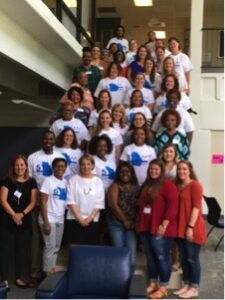 Learn4Life’s math network is working to scale strategies that raise 8th grade math proficiency in our region. We are proud to partner with the Georgia Department of Education to help more schools become STEM/STEAM (science, technology, engineering, arts, math) Certified. STEM and STEAM Certification is a process through which schools shift their instructional practices to an integrated curriculum that is driven by exploratory, project-based learning and student-centered development of ideas and solutions to real-world problems that exist in their school community. Teachers integrate the state-adopted content standards in a way that allows students to make deep connections between academic ideas and real-life phenomena. The Georgia Department of Education publicly recognize schools that have completed this rigorous process as exemplary STEM schools. Currently, there are 9 STEM/STEAM Certified middle schools in metro Atlanta. STEM and STEAM Certifications are showing positive results for schools and learners. An analysis of STEM/STEAM-certified schools shows that when they are compared to schools of similar demographics, population size, and free/reduced lunch states, the state STEM/STEAM-certified schools outperform their comparable schools by an average gain in proficiency of 12% on state assessments over the last three years. 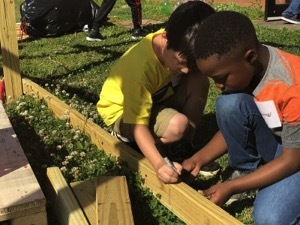 Students at GaDOE STEM and STEAM-certified schools are able to apply content from multiple disciplines to answer complex questions and develop solutions to real world problems. All teachers in all disciplinary areas work collaboratively to plan purposeful, meaningful, and intentional interdisciplinary lessons. In the classroom, the teacher takes on the role of facilitator in the classroom. Students are able to analyze and articulate interdisciplinary connections that exist within mathematics, science, CTAE, and fine arts content. Students identify and support claims related to a complex question or real-world problem by supplying relevant data as evidence. Community and industry partners are involved in development of curriculum and assist with making connections between classroom teaching and learning and business and industry applications. STEM and STEAM schools support student growth by promoting the 21st Century Thinking Skills: Communication, Creativity, Critical Thinking, and Collaboration. STEM and STEAM instruction prepares students for the workplace by embedding opportunities to practice these skills in the learning process. To support the rapid growth of STEM and STEAM academic programming, professional learning is offered for district leaders, school leaders and teachers at various points throughout the school year. The GaDOE provides dedicated staff to oversee Georgia’s STEM/STEAM Certification process. Annually, the GaDOE hosts a state-wide STEM/STEAM Forum and invites local schools and districts to send representatives to learn about the importance of STEM and STEAM education. The 2019 forum will be held in Athens, Georgia at The Classic Center on October 20-22, 2019. 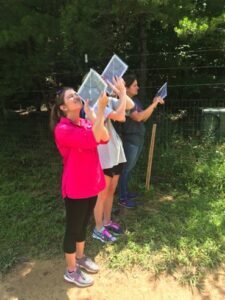 Additionally, the Georgia Department of Education hosts several STEM/STEAM Summer Teacher Academies. Teachers and administrators from throughout the state are invited to participate in these rich learning experiences around STEM and STEAM education. For more information on how to begin the process of obtaining Georgia STEM/STEAM certification, school and district leaders should visit here. Dr. Lya Snell is Mathematics Program Coordinator at the GaDOE.